Contact Martha To Get Started Today! Tell me what I can help you with. Please enter a message. Thanks for your message! I will be in touch with you soon. Before our initial meeting, I will email you a questionnaire to fill out before our appointment, so I can learn more about your goals, significant medical history, medications, supplements, eating and exercise habits. At our initial appointment, we’ll review the questionnaire together. It’s important that I learn a lot about you and what you are hoping to achieve by working with me. We’ll then set goals together. You’ll get education on nutrition relevant to your goals. You will also receive personalized meal plans in this session as well as lifestyle guidance including exercise, sleep, supplements, etc. We will cover the basics in this initial appointment then continue in other areas at follow up appointments. The initial session is 60 minutes. I have 75 and 90-minute sessions available if we decide a longer session would be beneficial. I often recommend the longer sessions if you have a new diagnosis of diabetes/prediabetes or PCOS or want more in-depth meal planning at the first session. Do I need follow up appointments? I strongly encourage follow up appointments. Changing behaviors is very difficult and can take months or sometimes years. My most successful clients are those who meet with me on a regular basis. Many of my clients like to meet more frequently in the beginning and then less frequently as time goes by. Follow up sessions are 30-45 min and include more detailed guidance in areas including: ordering in, restaurant dining, healthy traveling tips, easy cooking ideas, strategies on how to handle social situations, and just navigating the hurdles of a hectic life. As long as you have filled out your questionnaire and emailed it back to me prior to our session, you are all set! If you don’t have your blood work and would like me to see it, I can contact your doctor to get a copy. I am especially interested in seeing your cholesterol, triglycerides, glucose, HbA1c and vitamin D. If you have PCOS, I am would also be interested in seeing your insulin levels and glucose tolerance test results. Feel free to bring your significant other for support. But keep in mind that my sessions are for one person. If your significant other wants a session, you will to book 2 hours. What happens if I don't live in the NYC area? Many of my clients don’t live in the NYC area. I can do sessions via phone/Skype or Facetime. You will get the same information whether it is in-person or by phone/Skype/Facetime. And even if you live in the NYC area, you may find it more convenient to do follow up sessions via phone if you have a hectic schedule. I want to help you stay on track no matter where you are! Yes, I can make house or office calls. I charge my hourly rate for any time out of the office – which includes travel time as well as travel cost. Phone or Skype is usually a cheaper option. Do you work with families or couples? I frequently work with couples and families. It’s difficult to make changes and the support of a significant other or family members can be very helpful. Do you have executive packages? I am available to help streamline a nutrition plan for the busy executive who doesn’t have the time to think about what to eat. After an initial assessment to review goals, I am available for a variety of services including planning meals with the personal assistant, reviewing restaurant menus, meeting with private chef and making recommendations for healthy lunches and snacks. I work on a fee-for-service model and do not participate in any insurance plans. However, some insurance companies may reimburse you depending upon your diagnosis and plan. I will provide you with the superbill and diagnosis code to submit to your company. You can call your insurance company to see if it will be covered. Conditions such as diabetes and high cholesterol tend to be reimbursed more frequently. You will be responsible for payment at the time of the visit (or ahead of time if a phone session). You can call your insurance company ahead of time and tell them the CPT code for the initial hour appointment is 97802 and for 30 minute follow up appointments, 97803. You will need to ask your doctor for your diagnosis code (ICD 10 code). Do you have packages available? Yes! You can save up to 10% by signing up with a package, which can be a series of 4 or 8 sessions, or include 15-minute check-ins. What if I don't want a full session? 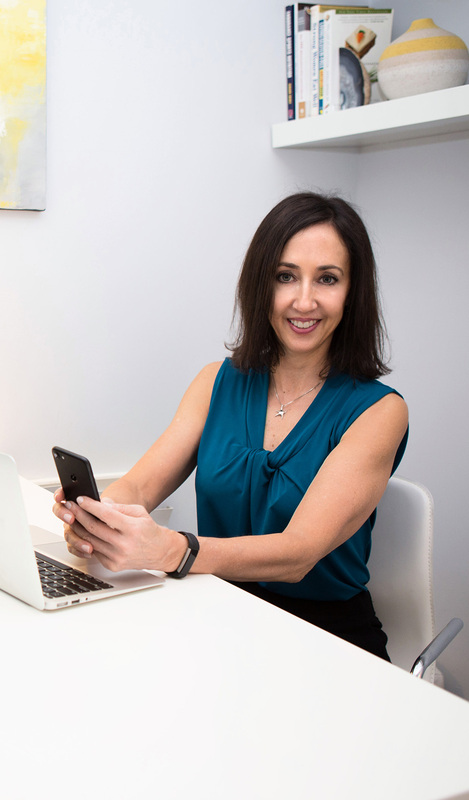 If you don’t necessarily want to meet with me for an initial appointment but have nutrition questions you’d like answered by an experienced registered dietitian, I offer “pick my brain” sessions of 15 minutes by email, phone or Skype. I have a minimum 1 business day cancellation policy. So a Monday appointment needs to be cancelled by Friday. Otherwise you will be charged the full fee for your reserved time. But you do have the option of a phone session if you can’t make it into my office for your scheduled visit. What are some of the benefits of a healthy diet? A healthy diet is about so much more than the numbers on a scale. By incorporating a healthy diet you can improve your sleep and wake up with more energy to start your day. Not only will this lead to improved overall mood, but you’ll lengthen your lifespan, improve your internal health, and help prevent conditions and lifestyle-related diseases such diabetes, high blood pressure, heart disease and cancer, to name a few! Will I need to cut out entire food groups? Everyone has different needs and not everyone needs to follow restrictive diets or cut out entire food groups. Nutrition is not one size fits all: I take a moderate approach while paying attention to your food sensitivities, medical needs and food preferences so that you have a customized plan that works for you while still getting you the results you are looking for. Looking for a nutrition expert? If you’re looking for an expert to educate, promote, engage and inspire, then look no further!